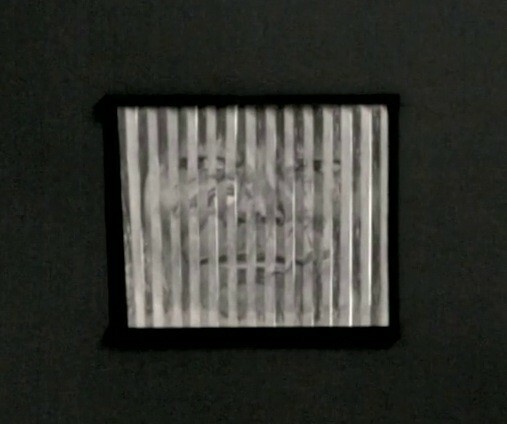 This image offers the frontal view of the 2-plane drawing 'Ma you gave me those eyes'. The work changes as one walks by it, as the angled surface alternates between an image of the artist and her mother. They are both notorious for a stern facial expression which the artist inherited. This piece refers also to a confrontation between the two, during her mother's battle against cancer.